Can you grow saguaros in Tucson? You bet! In California, probably not. The secret to happy succulents is to duplicate their native growing conditions as much as possible. The more you know about where a succulent comes from, the easier you can do this…up to a point. Occasionally (not often) it’s nearly impossible. No matter what you do, saguaros don’t thrive beyond the Sonoran Desert, where they grow like weeds. But most other succulents, regardless of origin, can be accommodated anywhere. There’s a reason jade (Crassula ovata) is in everyone’s collection. Some are super easy. Jade, for example, survives under- or over-watering, starts readily from cuttings, seldom gets pests, loves sun but tolerates shade, and will grow indoors or out if protected from freezing temps. Portulacaria afra ‘Minima’ doesn’t mind desert heat or high humidity. This may surprise you, but a succulent I’ve seen in gardens from Miami to Honolulu and everywhere in-between—including Phoenix—is from South Africa: elephant’s food (Portulacaria afra). Sempervivum heuffelii hybrids, largely considered cold-climate succulents, do fine when grown in bright shade in the Southwest. Mine are happy as pot plants. Windowsill succulents in my office. Nearly any succulent when small will bask happily on a bright windowsill. 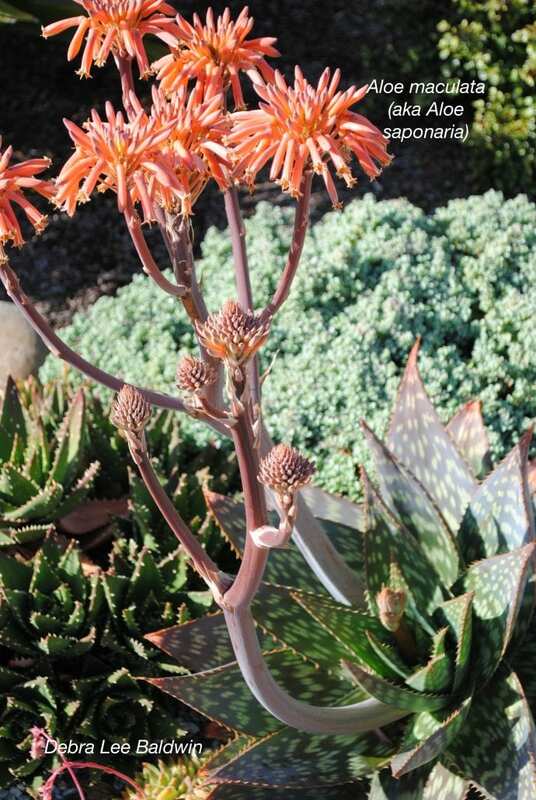 The mild temperatures and drought-rainfall cycles of southern CA replicate regions of Africa, Madagascar and the Canary Islands, where many desirable succulents originate. Florida and Hawaii may seem to have climates similar to southern CA’s, but succulents see it differently. Where there’s high humidity and summer rainstorms, it can be challenging to grow aeoniums, agaves, aloes, dudleyas, echeverias, euphorbias and senecios. Think about it: Succulents by definition survive dry spells by storing water in fleshy leaves and stems. They’re not set up to handle continually moist conditions. Add cold to that, and the buzzer goes off. The farther north and east you go from coastal CA, the fewer types of succulents you can grow effortlessly in your garden. Read about those you can grow in colder, wetter climates. Echeverias, from high elevations in Mexico, top the popularity list in terms of resembling roses that never fade. Their rosette forms serve a practical purpose: they funnel rainwater to roots. Other succulents from Mexico and Central America such as graptopetalums, pachyphytums, and large-leaved sedums have leaves that pop easily off stems. These tumble down and take root far enough from the parent plant that they don’t compete with it for nutrients. Like the plump bodies of tadpoles, fat leaves feed juvenile succulents, enabling them to grow and develop without water. The leaf slowly withers as the baby plant drains moisture and nutrients to form its own leaves and roots. Succulents with ever-lengthening, pendant stems may become bearded with roots as they sniff out soil pockets. Consult my books for the best succulents for your area and how to keep them happy. You’ll discover how to use them in all sorts of design applications, from pots and projects to in-ground gardens and landscapes. Fertilize succulents when they’re emerging from dormancy and beginning their annual growth spurt, which for most is spring. A light feeding of manure tea, diluted fish emulsion, or a balanced fertilizer will help them grow lush and lovely. See my video. For container-grown succulents, one Moo Poo tea bag per three gallons of water, steeped overnight. I apply Ironite before a winter rainstorm (I know, it’s too late) and a balanced granular fertilizer in March. Water the plants, then pour manure tea until it begins to run out the pot. In the garden, spread granular fertilizer and water it in. What kind of granular fertilizer? The brand doesn’t matter, but the ratio of N (nitrogen), P (phosphorous) and K (potassium) should be equal. Succulents need about half the dose recommended on the package. Apply a topdressing of compost. I like fish emulsion, too, for both pots and in-ground plants (diluted half strength). Once in spring when daytime temps stay above 60 degrees F. Then again in June. 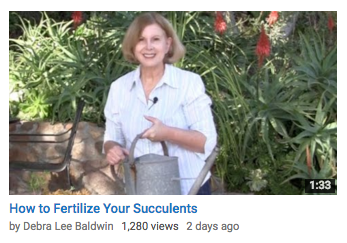 What if I don’t feed my succulents? No biggie, but they’ll look and perform better if you do. 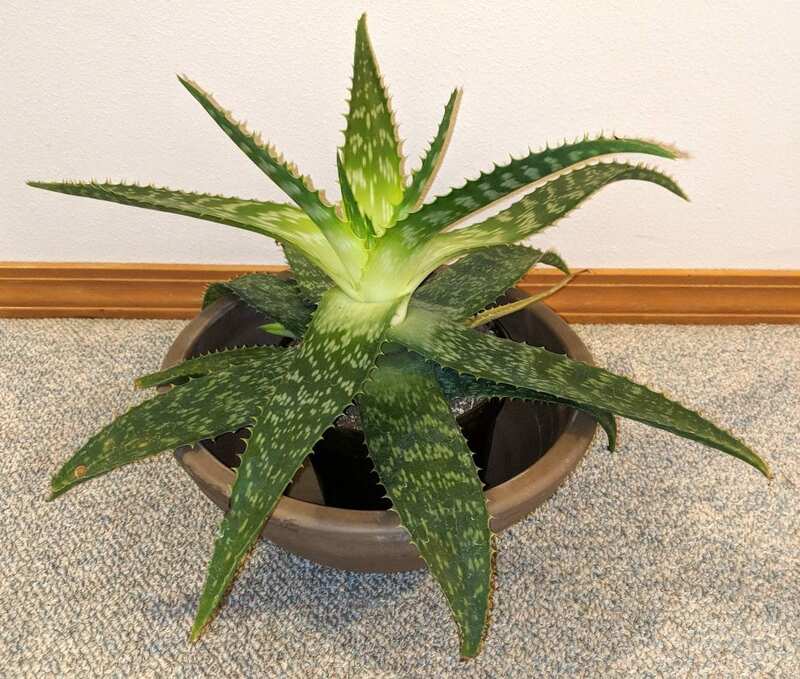 Is it OK to fertilize more frequently? That’s what many growers do. A little bit of fertilizer with every watering promotes rapid growth. However, such plants are considered “soft” (a nursery term) rather than “hard,” meaning tough. It’s a trade-off. I grow my succulents hard to help them endure the vicissitudes of the open garden. Soils vary from region to region and even within a garden. The best way to know what your soil lacks is to have it tested, but it’s common sense that succulents growing in, say, oak leaf mulch are getting ample nutrients and don’t need fertilizing; those living in pots for years or growing in decomposed granite probably do.